you know it did the job. As Principal of the Interior Environments Group, Naaz leads the Interior Design efforts for the firm. She directly leads the design and project management of a variety of projects and is passionate about creating interiors that represent the client’s needs. She is actively engaged in community and professional leadership organizations. She is a recognized leader and has served in leadership positions for several organizations as well as a guest panelist speaker for her professional expertise. 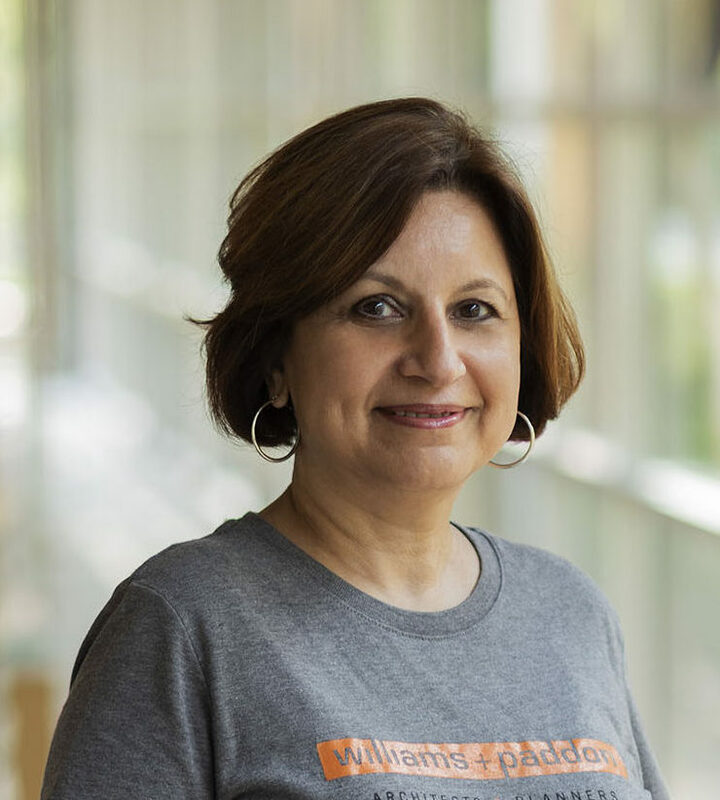 Naaz currently serves as a member of the City of Roseville Economic Development Advisory Committee and is a Board Member of the Sacramento Metro Chamber of Commerce and Valley Vision. The Roseville Chamber of Commerce honored her with the Athena Award which honors individuals who are leaders in both their profession and community. Naaz was born in India and spent most of her childhood traveling through England and Europe as a Royal Air Force kid, going to 14 different schools in 14 years! That explains her love of travel, exploration and learning about people and cultures. She understands change dynamics and how change can impact people. She loves to capture life through photography, whether it’s a bustling city scene or ductwork in a demolished building: design inspiration can come from the most unexpected places!